● Start your search for money-saving deals on the image slider of the Lakeside homepage where you’ll find sale events, category deals and discounted product offers. These have previously included savings of up to 25% on featured items. ● Click on Online Only Specials next to the image slider for exclusive site-only discounts unavailable in the Lakeside catalog. Most featured items are under $20 with new products added weekly. ● Shipping starts at $5.95 and depends on the total value of your order. All fees are computed upon checkout. ● Browse the Sale section for up to 50% off select clearance items. ● You may also visit the Catalog section where you can find a few volumes of Deals & Discounts catalogs. These catalogs solely feature price-reduced merchandise, with most items still in stock. In the past catalog order companies were very popular and in today's society, these companies now offer their customers the ability to order from the catalogs online. The Lakeside Collection is a company that has an extensive inventory of household items and seasonal items that you can place throughout your home. On the left side of their website you'll notice all of the product categories ranging from gifts to personal electronics. If they have any sales such as getting a discount on shipping, they'll be shown on the front page of the site. Also, you can request a catalog online if you prefer to have a physical copy. 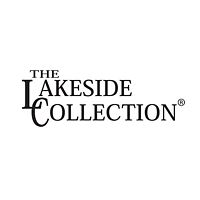 For most up to date offers check out Lakeside Collection on Facebook and Twitter or contact Lakeside Collection Support for any questions.